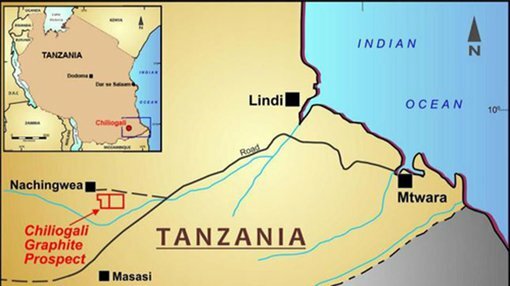 Prospect Resources (ASX:PSC) has become the latest ASX-listed company to get into the Tanzanian graphite game, picking up an option to acquire a project which it says has an average grade of 11.5%. 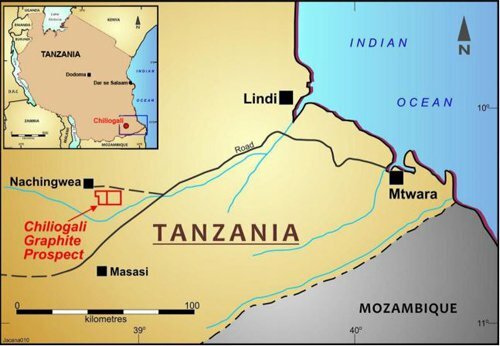 The company, which is better known as a gold company focused on Southern Africa, said it has a three-month option to farm-into the Chiliogali Prospect, saying the prospect featured a thick graphitic band measuring at over 4km in length. The deposit was first found back in the 1950s as part of a railway line project, and trenching by previous owners had turned up grades averaging 11.5% total graphitic carbon over 15.8m. More recently, 30 trenches were planned by the previous owners but only 12 ended up dug, and only eight were sampled due to financial constraints. These samples included a peak grade of 31.8%, and PSC told its shareholders at electromagnetic surveys had identified 13 untested anomalies to follow-up on. There are also 30 grab samples taken at the prospect which went un-assayed, something which PSC said it would rectify if it elected to pick up a 90% stake in the project. It would also go ahead with an electromagnetic survey, excavate 20 trenches, and in the longer term initiate a short-hole reverse circulation drilling program in an effort to generate a JORC resource. In a structured deal, PSC will be able to pick up an initial 51% in the permit by paying a non-refundable $US30,000 ($A42,320), and an additional $250,000 in cash or shares. It will be able to pick up another 19%, and then 20% in two stages in exchange for $500,000 of solely-funded exploration work at each stage, and a payment of $250,000 in cash or shares at each stage. PSC is a soon-to-be gold producer with assets in Zimbabwe, focusing on working over historic mines and applying modern technology to them to make them into low-cost producers in the near-term. Its main focus is a cluster of mines referred to collectively as the Gwanda East project. These include the Prestwood, Buck’s Reef, Penhalonga Gold Project and Bushtick Gold Project. All of these areas have historic production against their name, but have not been fully exploited to date.